I just came back from Asia, so I have Asia on the mind. 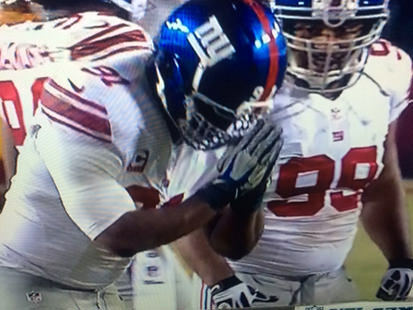 What do you know–on Monday night football, there was the NY Giants’ Justin Tuck doing the prayer-bow Thai move after sacking RGIII. It was the wai, the Thai gesture of appreciation. I know the move well. 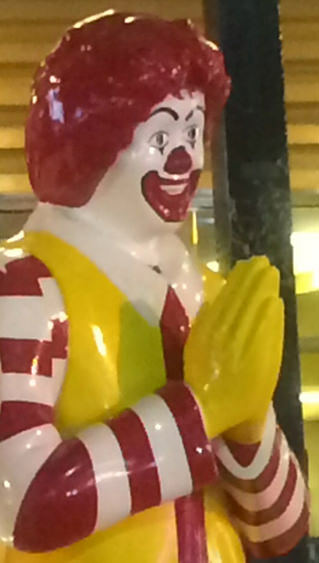 I saw Ronald McDonald doing the move in Patong Beach, Phuket. Fast food is a multinational corporate phenomenon, to my dismay. I certainly didn’t patronize Ronald abroad. 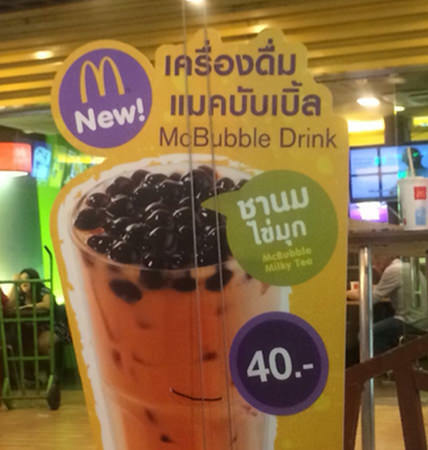 Not even his new Thai bubble drink. 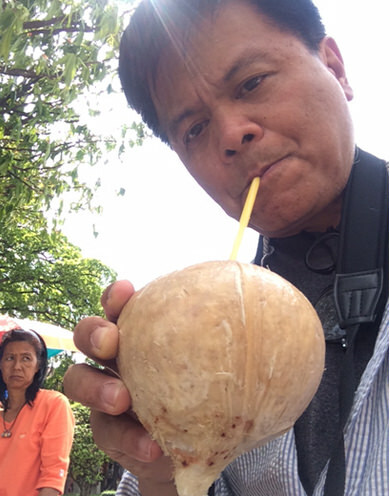 Street food and a fresh coconut was plenty fast enough for me. In Thailand the average income is $4,000 a year. Fast-food pay may make sense there. But not in the U.S., where some individuals and families are trying to make it on $8.25 an hour–part-time. I’ll have more to say on income inequality in a later post. But for now, there’s a massive one-day boycott scheduled for today to push for a more livable wage for workers here in the U.S. The call is enough to lose your appetite for a day–at least.